Originally from Tulsa, Oklahoma, Doug moved to Louisiana after serving overseas in the Army. 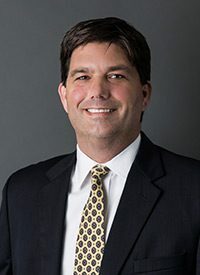 He graduated from Nicholls State University with a Bachelor of Science in Computer Science and is a certified Project Management Professional (PMP). Over the years Doug has worked in the Utilities, Energy, Health Care and now the Real Estate Industries. His expertise includes IT Strategy, IT Management, Enterprise Architecture, Software Development, VOIP/SIP, virtualization, desktop administration, database administration, networking and security.